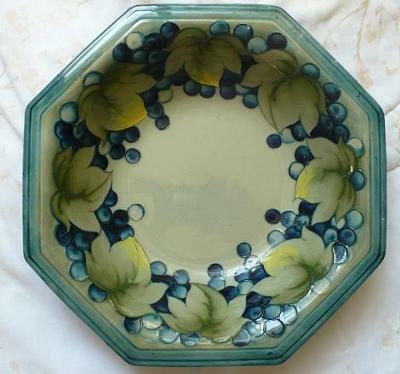 I have a large Moorcroft pottery bowl that my mother gave me. It is signed, I think, by Walter Moorcroft (grey-blue inititals). 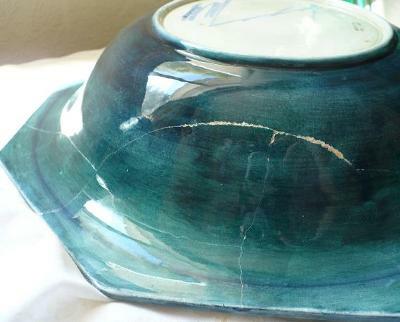 Unfortunately, the Moorcroft bowl was broken and has cracks. 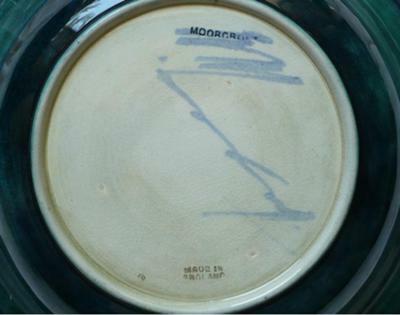 I think this Walter Moorcroft bowl is a special one-off piece because, from what I have been able to gather, general pieces only had initials on them, but I am not sure. I am not sure if it still has any value, but I was wondering if someone could tell me if they know anything more about it? This does indeed appear to be by Walter Moorcroft and bears the full signature mark dating between 1947 and 1953. Walters full script signature mark was only used on important pieces, on one off pieces for exhibition, or on limited editions. 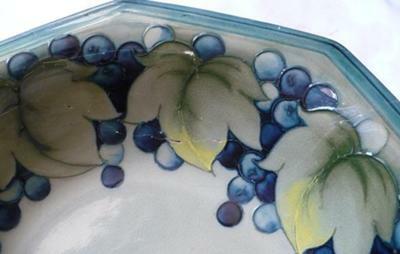 Unfortunately the extensive damage means Moorcroft pottery collectors will be reluctant to pay very much for it.